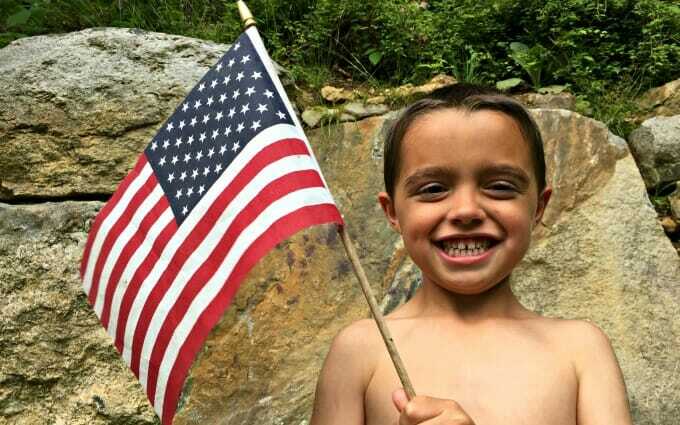 Today, I’m sharing a super-simple, hands-on flag study that we recently enjoyed. 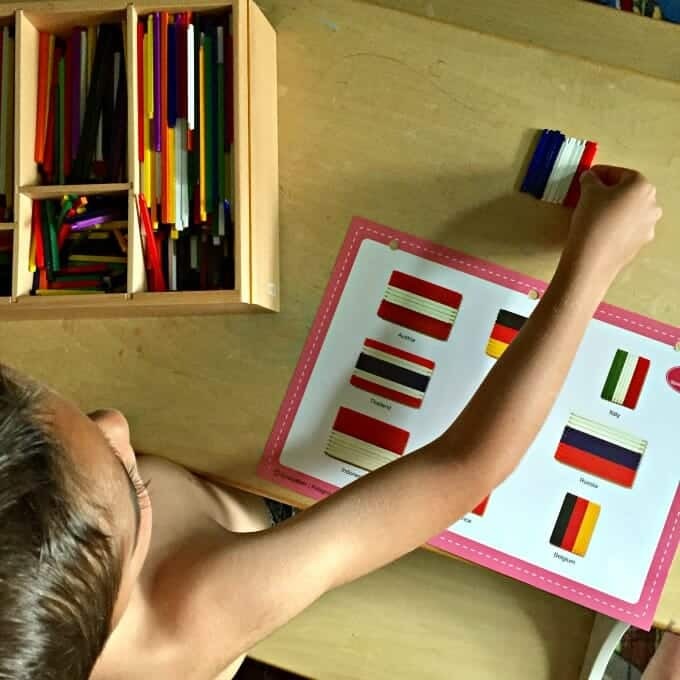 It’s so simple that I almost didn’t write about it, but my children have been talking about it nonstop and it’s clear to me that they learned quite a bit about geography and flags. I call these super-simple studies lazy unit studies because they are so easy that you feel like you’re cheating. These lazy unit studies involve a quick trip to the library and some organization on my part to find the appropriate materials at home. That’s it. These super simple unit studies are perfect for summer learning. And, with July 4th on the horizon, this flag study is perfectly timed! 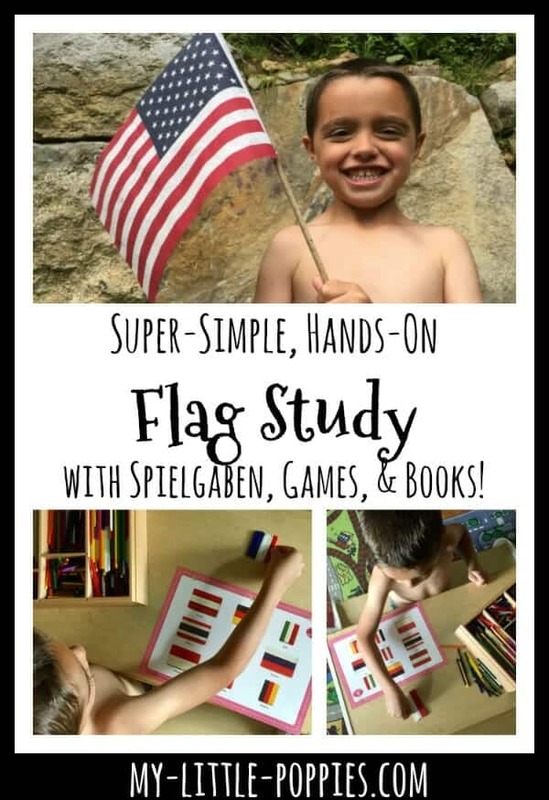 A Super-Simple, Hands-On Flag Study with Spielgaben, Books, & Games! *Disclosure: I received a Spielgaben set to review. As always, all thoughts and opinions are my own. I only choose to share resources that I would use with my own family and those that I believe other families will enjoy. We absolutely adore this set. This year, I am excited to add Spielgaben to the mix. If you have been drooling over Spielgaben for years (like me! ), be sure to keep reading because I have a special offer for My Little Poppies readers! 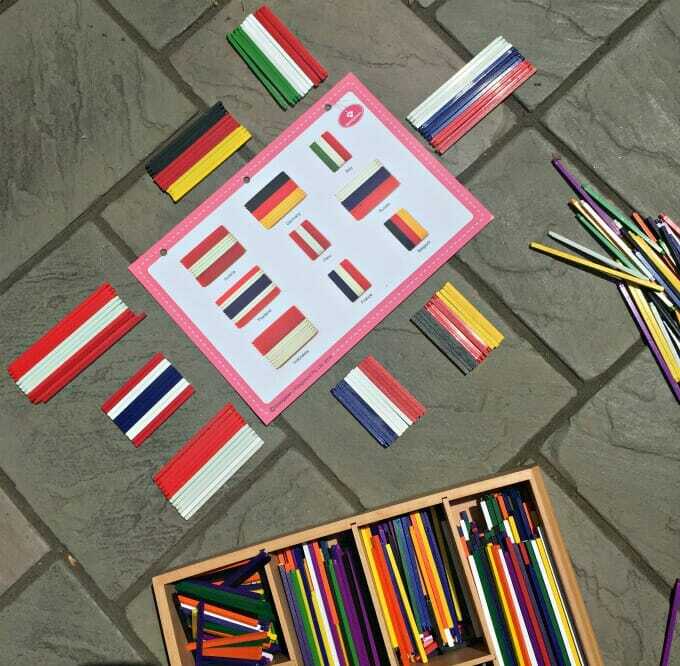 Our flag study was super-simple and absolutely perfect for summer learning. When we embark on a super-simple unit study, we love to grab a stack of books from the library. 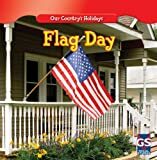 For our super-simple flag study, we gathered a collection of books about flags. 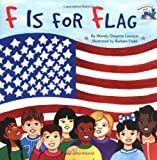 We included books about flags of the world as well as books about the U.S. flag. 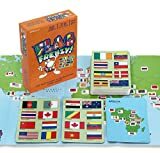 Our family’s favorite flag game is [easyazon_link identifier=”B007BF50Q6″ locale=”US” tag=”mylitpop-20″]Flag Frenzy[/easyazon_link]. It is similar to the game [easyazon_link identifier=”B0039S7NO6″ locale=”US” tag=”mylitpop-20″]Spot It! [/easyazon_link], but it features flags from around the world. And while that is our favorite game, there are others on the market. 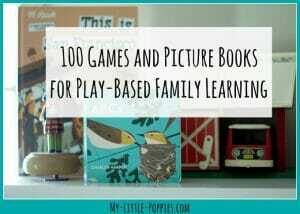 Our family has fallen head-over-heels for Spielgaben because it is a high-quality, flexible resource with innumerable options for play-based learning. Spielgaben offers a world of opportunities and can be easily applied to virtually any homeschool activity or unit study. My children love when they come downstairs in the morning to discover a Spielgaben play invitation! Spielgaben makes this easy! It doesn’t matter if you have been using Spielgaben effortlessly for years, or if it’s your very first time using the set. Spielgaben offers hard-copy, illustrated guides that are easy to read and follow. Play (ages 3-9)– This guide works on sensory, fine motor, problem-solving skills and more. Math (ages 7-12)– This guide builds a mathematical foundation and builds confidence. They will learn arithmetic, measurement, geometry, angles, weight, volume, and more. Fast Track (kindergarten)– These activities and worksheets can be used daily to reinforce important skills. Inspiration Cards (all ages)– These play invitation cards encourage creativity and imagination. Into the Wild (all ages)– These fantastically fun cards introduce children to nature featuring animals, plants, insects, and more. Making Planar Figures (all ages)– Featuring eleven geometrical figures, children will learn the basics of geometry. 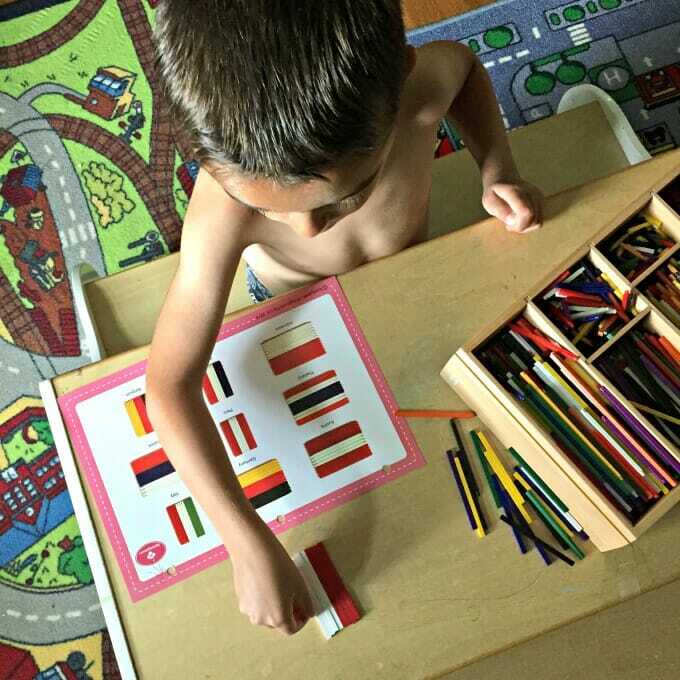 For our super-simple flag study, I pulled out a few picture books we had already read and used an inspiration card from our Spielgaben resource pack. And then I sat back, sipped my coffee, and watched the play- and learning– unfold! Do you want to expand upon your flag study? Looking for other lazy unit studies? Now, it’s your turn. Tell me: What are you studying lately? Share here.